Just in case you forgot, that Power Rangers movie is still coming out in March, and Lionsgate has rolled out a brand-new poster that gives us a closer look at those Zords. Until now, all we’ve seen of the beasties are little bits and pieces, but now we know for sure what at least two of them look like. And, yes, they’re very big. 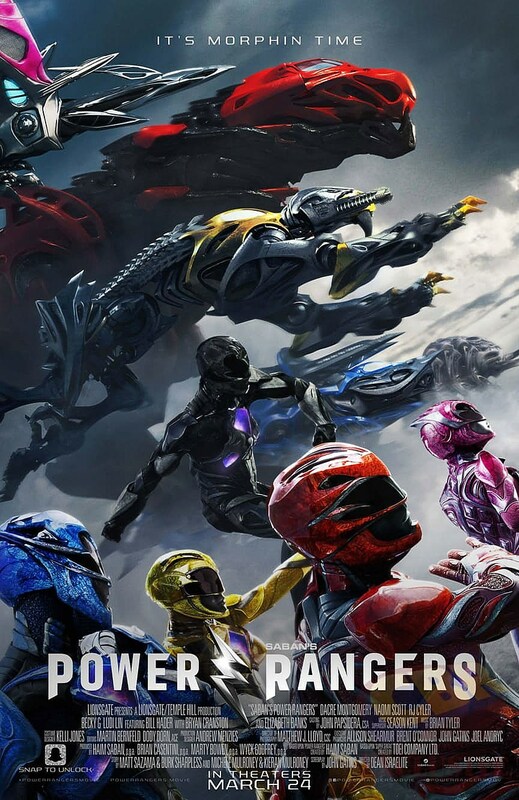 The new poster, via CBR, has all the Rangers in the foreground, but is mostly focused on the Yellow Ranger’s Saber-Toothed Tiger Zord and The Red Ranger’s Tyrannosaurus. You can also barely make out the Blue Ranger’s Triceratops and the head of the Pink Ranger’s Pterodactyl and the Black Ranger’s betusked Mastodon in the background, which, from this angle, looks more like a beetle. We also get another look at the Rangers’ suits, which seem to function like a growable body-armor. The material looks pretty weird in the trailers, less of a metal or plastic and more of a sentient slime mold. Sounds like fun. I gotta ask, though, what is the Black Ranger doing in that poster? Is he surfing on something? Has he shrunk himself to half size and is crouching on the Red Ranger’s shoulder? It’s a mystery.